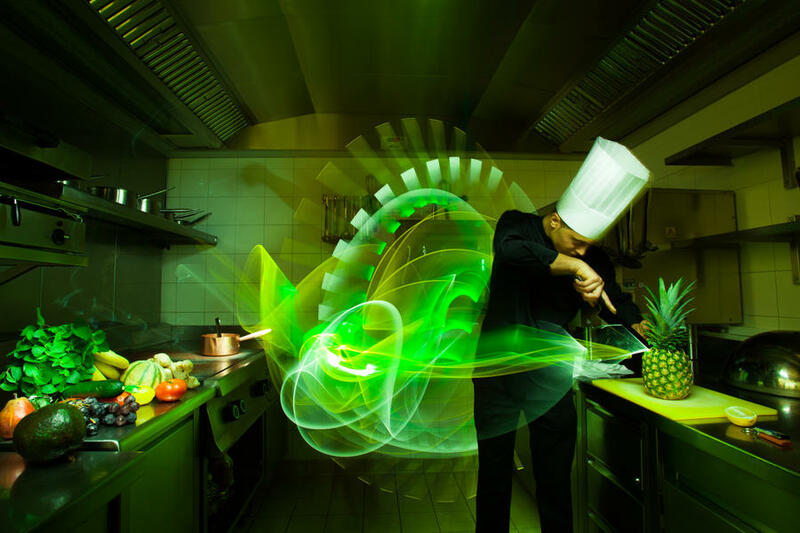 Light painting is a genre of photography that has been growing in stature for several years. 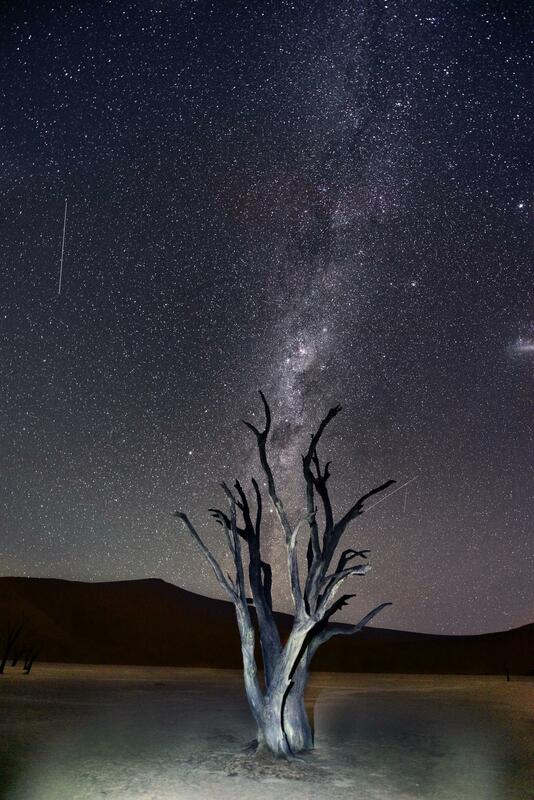 What was once the reserve of a small band of night photographers is now a style of image-making saturated with artists looking to make their mark through stunning and vivid streaks of light set against pitch-black environments. 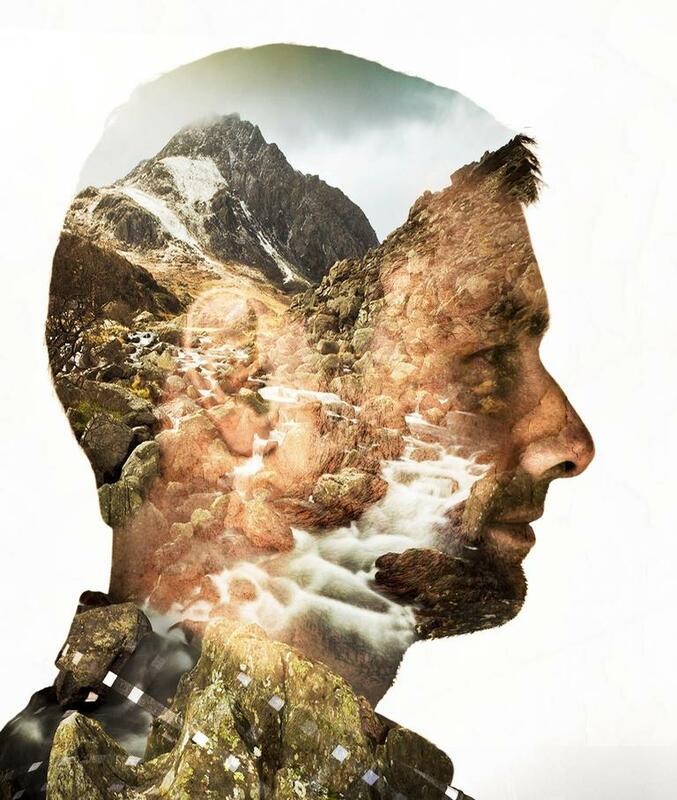 Mathew Browne, Dylan Arnold and Nikolay Trebukhin are three photographers who have spent many a night out in the field experimenting with this endlessly creative craft. 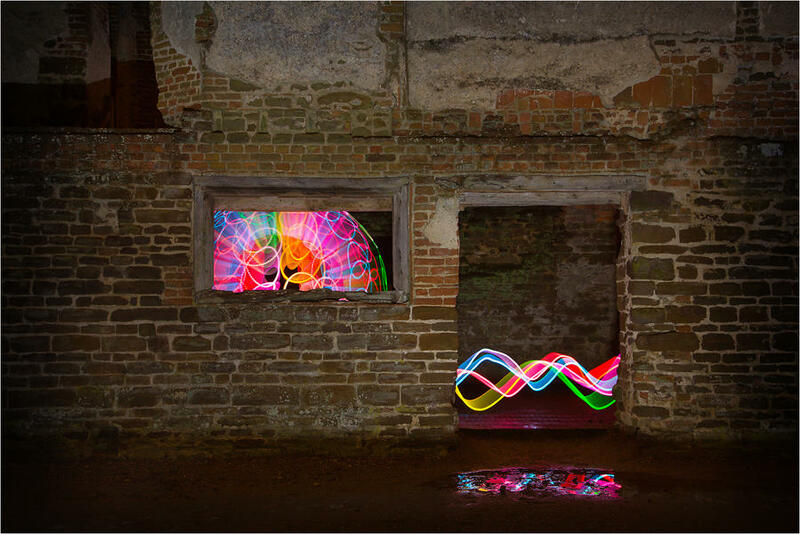 But if you’re still a little unsure as to what light painting actually is, they’re on hand to shed a little light on the matter. 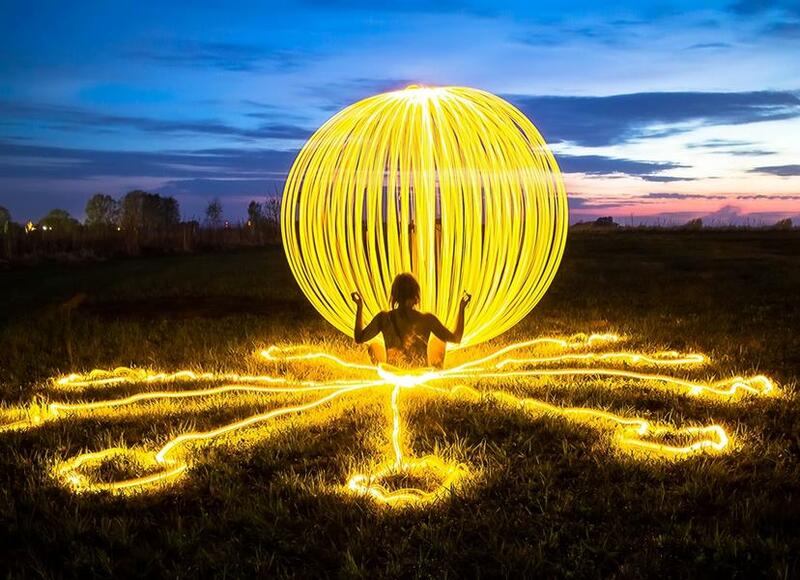 ‘Quite simply, light painting is a technique used in long exposure photography where you can use artificial light sources to illuminate a scene, or to create new elements within the image,’ says Mathew. ‘First and foremost, it’s visually spectacular. It’s unlike anything one could see with the naked eye. Your only limitation really is your imagination. 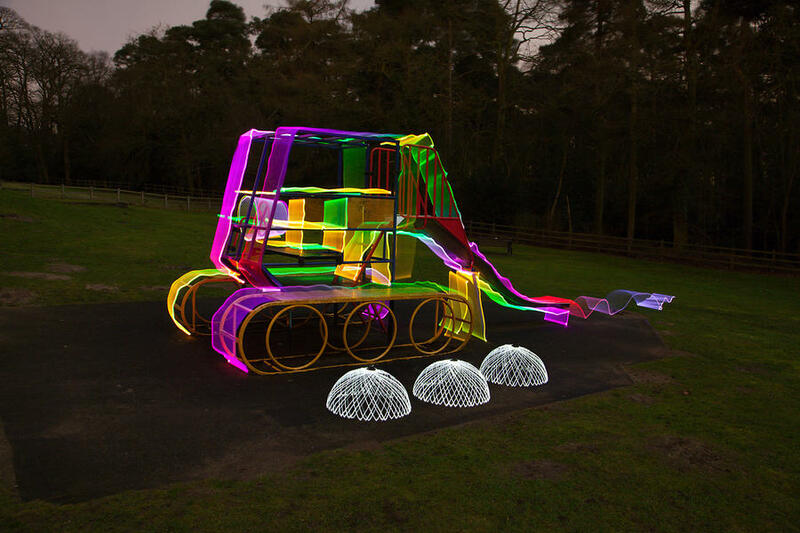 For Dylan, light painting allows him to create art and sculpt and form light patterns, almost like an artist using marble to create an entirely new form, except in this case Dylan is using light and dark. 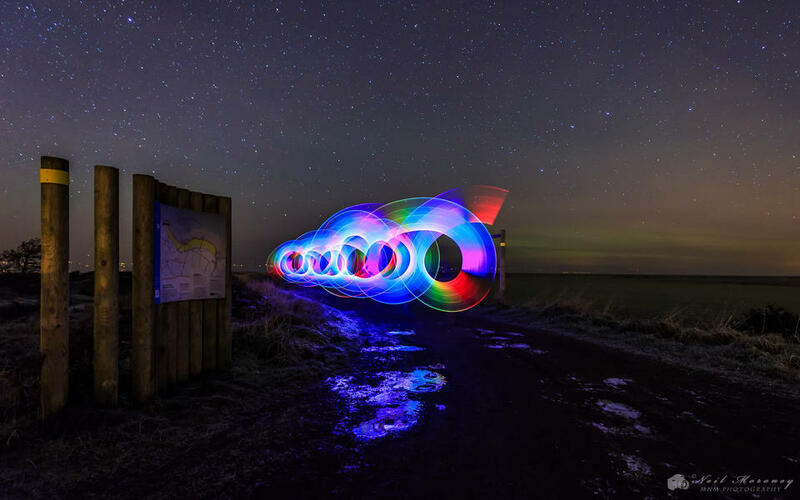 It’s also worth noting that, as Nikolay points out, light painting is one of those arts that pretty much guarantees you’ll end up making new friends through the diverse contacts you’ll make along the way. That’s why it’s always worth visiting web forums or even getting in contact with photographers through Photocrowd to get some ideas, tips and advice. 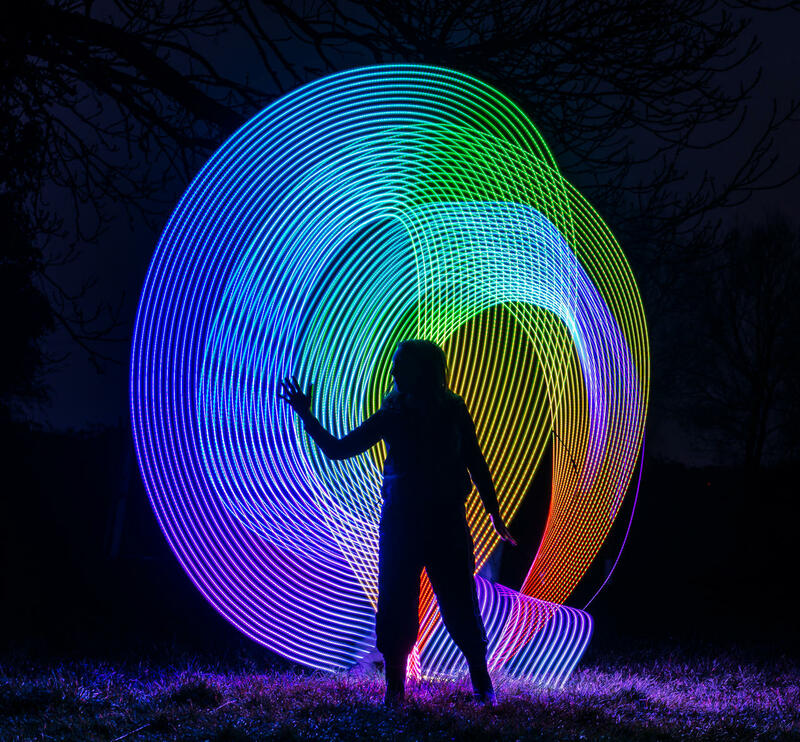 The first thing to do when deciding to enter the esoteric world light painting is think about what equipment will help you create your masterpieces out in the field. It’s no good travelling out to an abandoned factory in the middle of nowhere only to realise you’re insufficiently served by your equipment. There are many cameras out there with excellent low-light capabilities. One of particular note is the Sony a7s II, a camera that was lauded for its ability to handle extremely dark conditions. Mathew has found that the Nikon D810 is more than capable of delivering the results he needs, whereas Dylan has settled on the Canon EOS 6D. 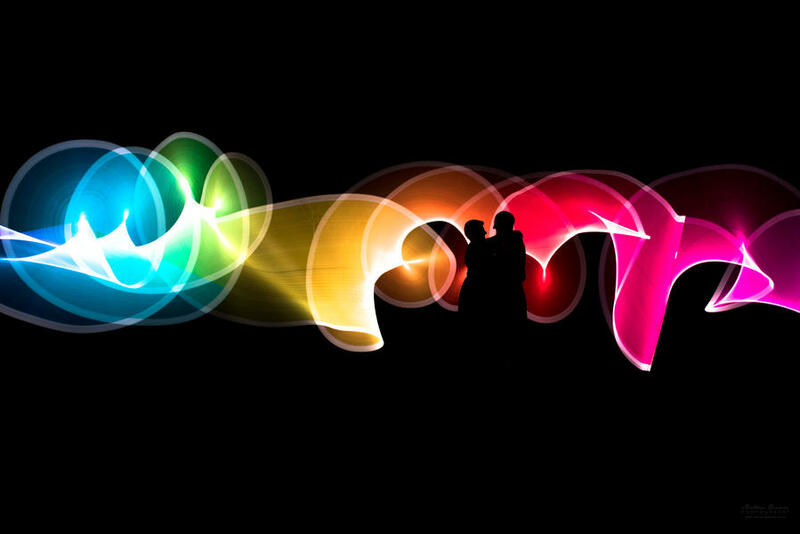 However, if you’re an Olympus user looking to get into light painting then you have a rather handy tool at your disposal. Mathew points out that your choice of lens will be largely dictated by what you intend to shoot and in what kind of environment you plan to visit. Where Dylan tends to rely on a couple of wide-angle lenses, specifically the Canon EOS 16-35mm f/4L and Samyang 14mm f/2.8, Mathew has his own preferences, both of which he uses extensively in his night work. Your next consideration should be which tripod you’re going to take on your travels. The sturdier your tripod, the better. As you’ll be out working in the open and working with long exposures you’re likely to be faced with winds and uneven ground. Dylan recommends the Manfrotto 055 with a 3-way head, or a Vanguard Alta-Pro 283CT with a Vanguard ball head. In Mathew’s case, he relies on his trusty Benro TGP17A tripod. 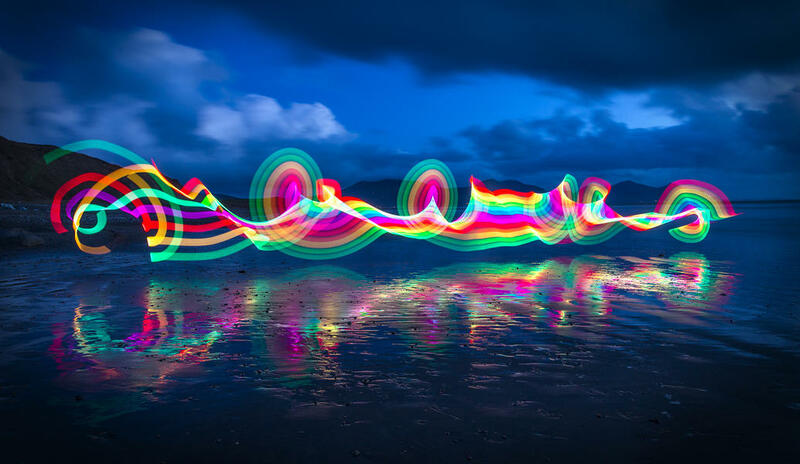 All three photographers agree that one of the most crucial bits of kit a budding light painter can have in their arsenal is either a wireless shutter release or remote. There are a few reasons for this. Primary among them is that as you’re working with long exposures, the last thing you want is to introduce camera shake into the equation due to your pressing the shutter. 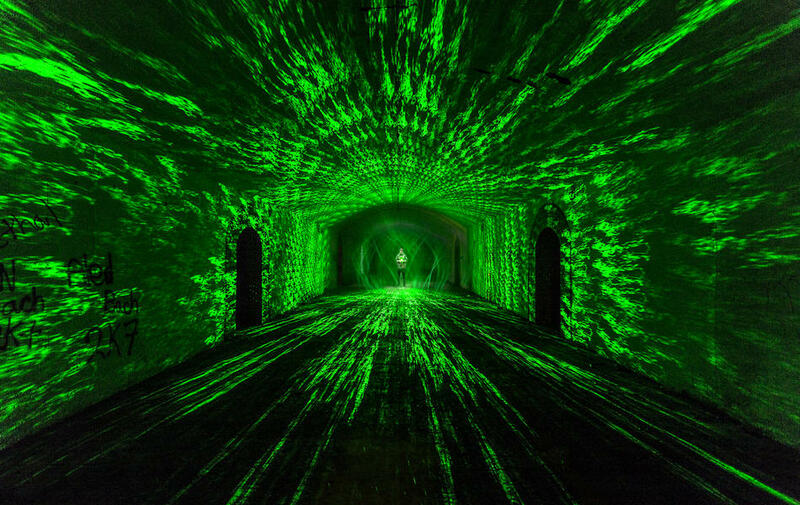 Another reason is that, as many light painters tend to work alone, they’re the ones creating the light patterns in their images. That means they have to be in front of the camera when the shutter goes off. Just the simple device of a shutter release or remote removes this unnecessary headache and frees the photographer up to do their thing. As well as a torch (which we’ll come on to talk about when discussing focus) Mathew adds that it’s always worth carrying around spares of pretty much anything can have spares of. In Mathew’s case, this generally consists of spare SD cards (and this should be a necessity for all genres of photography, as well you know!) and copious amounts of AA batteries, which will get eaten up by his torch and, most importantly, his Pixelstick, the main tool he uses for his light painting images. 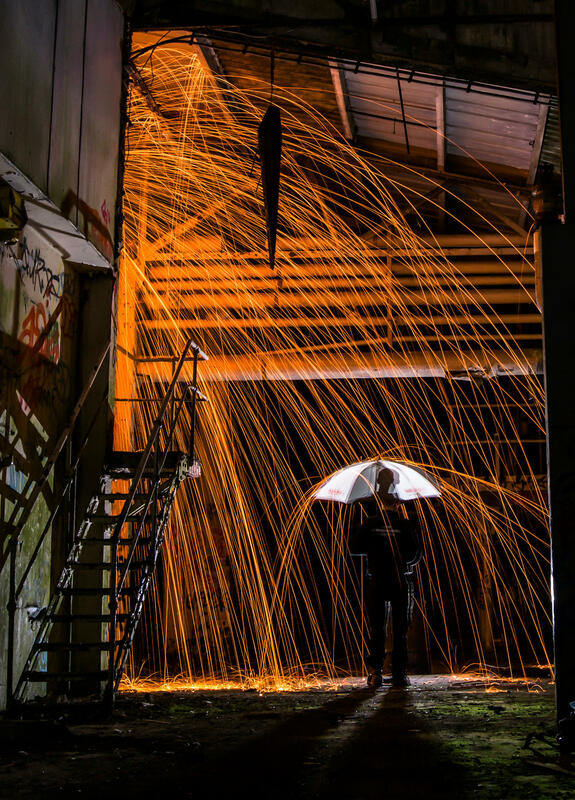 There are plenty of tools out there to help you on your way to creating successful light painting images. Just a quick glance online will reveal several specialist tools, such as the Westcott Ice Light 2 and the Lowel GL-1 Power LED. 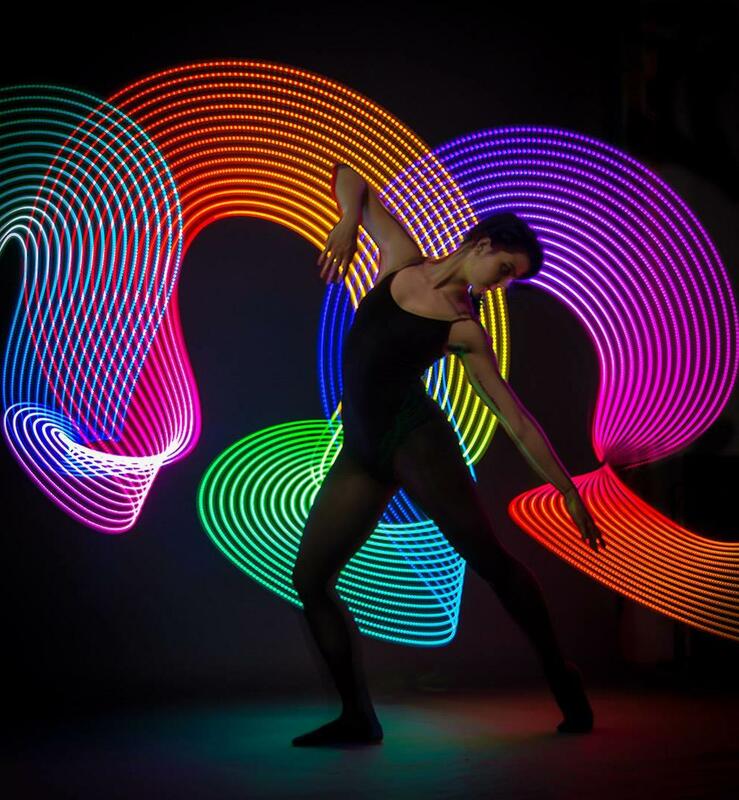 One of the most popular, however, is the Pixelstick. While Dylan's list looks like a lot of stuff to carry around, Nikolay says that it’s worth the weight. As Nikolay says, it can sometimes be the case that you’ll have an idea for an image using one set of tools only to find it isn’t working for you. Having other options means you can change tack and use something different. You may be surprised to find your images works with the least expected light source. Shooting in manual mode is a must. This will give you absolute control over your camera’s exposure, which is crucial when it comes to working with light painting. There will undoubtedly be a great deal of trial and error involved and it’s difficult to give solid advice when it comes to this. The best advice that Mathew can offer is to experiment with long shutter speeds of 10-30secs and select an appropriate aperture to match this. ‘The speed of the aperture and shutter speed depends on the lighting,’ says Nikolay. ‘In full darkness, the aperture opens as much as possible, probably f/2.8 or f/1.4 but that depends on the capabilities of your lens. The shutter speed also depends on the ambient light. In the dark, without external light sources, you can draw five and ten minutes or more. Basically, without the use of a wireless console, the cameras are limited to an exposure time of 30 to 60secs. But that’s plenty of time for what you need. It should go without saying, but always make sure you’re shooting raw files. You would think there’s some special trick to white balance considering the various sources of light and colour on display when it comes shooting light paintings, but in fact it’s the one area of your camera you can let look after itself. One of the things that can trouble those new to light painting is how to ensure that your images are in focus. In fact, this is one of the simplest things to master so long as you plan ahead. Both Mathew and Dylan have similar sentiments when it comes to this subject. Nikolay’s technique is similar, except he sometimes has the luxury of working with a model who can assist him. 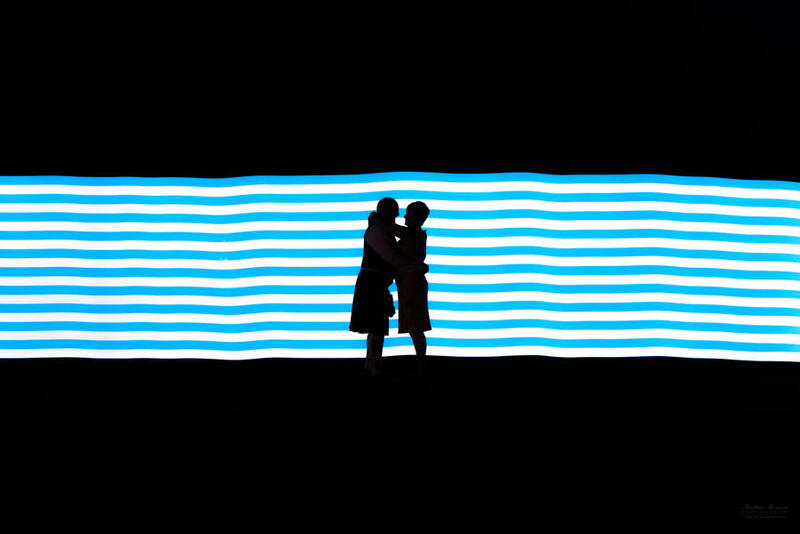 There’s a strong temptation to rely on the interesting patterns you make with your lights to create an interesting image. However, a good image is also made by the location. The right location can really add something to your images and will keep your audience engaged. Like any genre of photography, most of the work in your light painting images actually comes from seeking out the images that will give you a little push in the right direction. 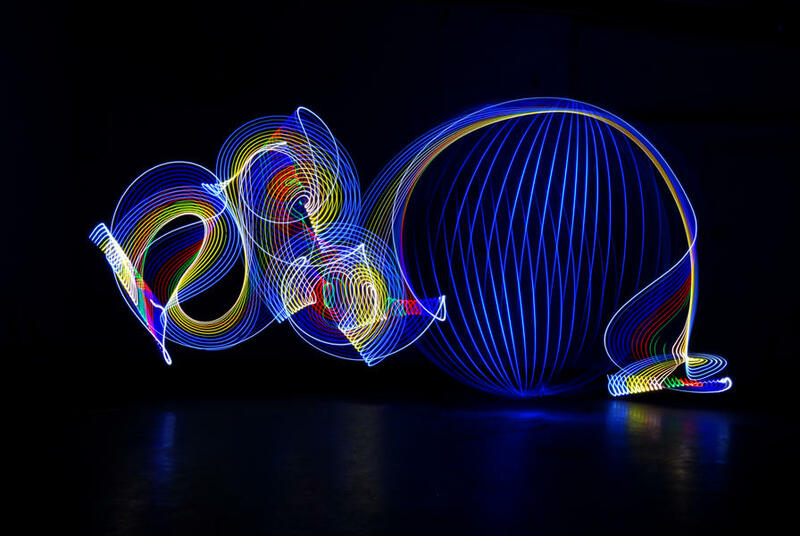 The light painting community s vast and many practitioners will be more than open about how they achieve their images. This is particularly helpful if you want to start exploring the techniques behind their images. With that in mind, Dylan, Mathew and Nikolay discuss the process behind their favourite images. 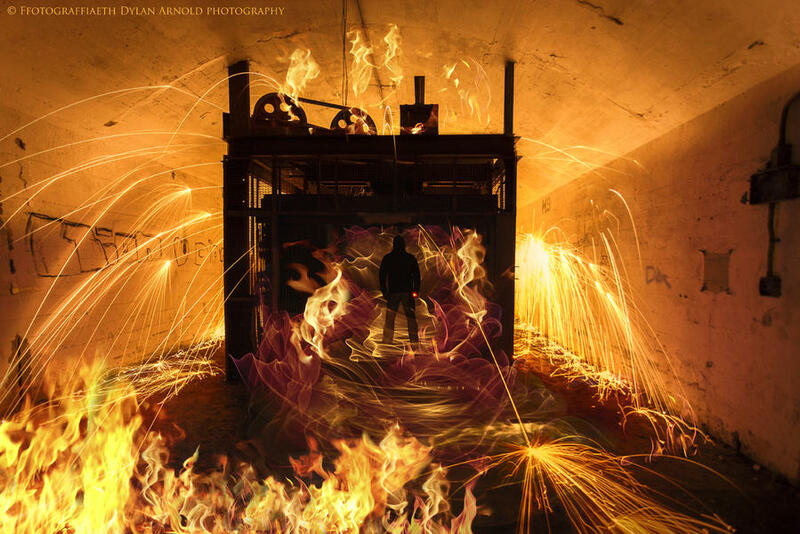 ‘My favourite light-painting image is Firestarter,’ says Dylan. 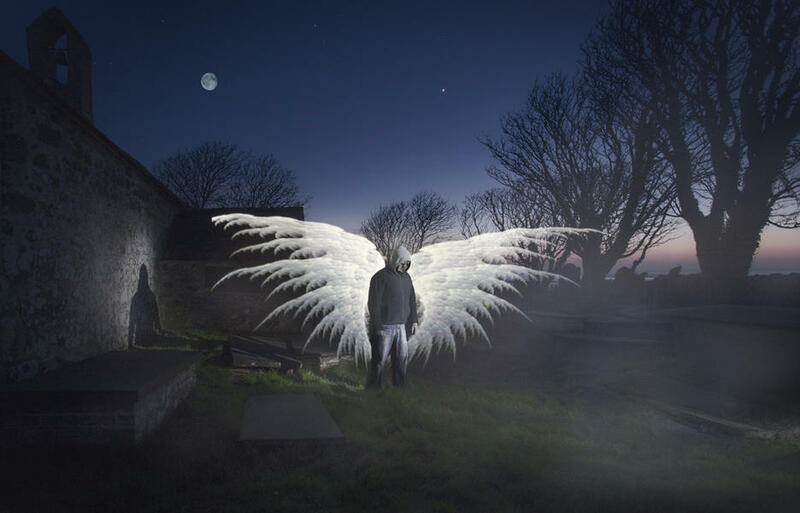 ‘This was a huge leap from my previous attempts at light painting and marked a more thoughtful approach to the style. This image has a dark narrative, and an added dimension, compared to my previous light-painting images, which were much more basic. 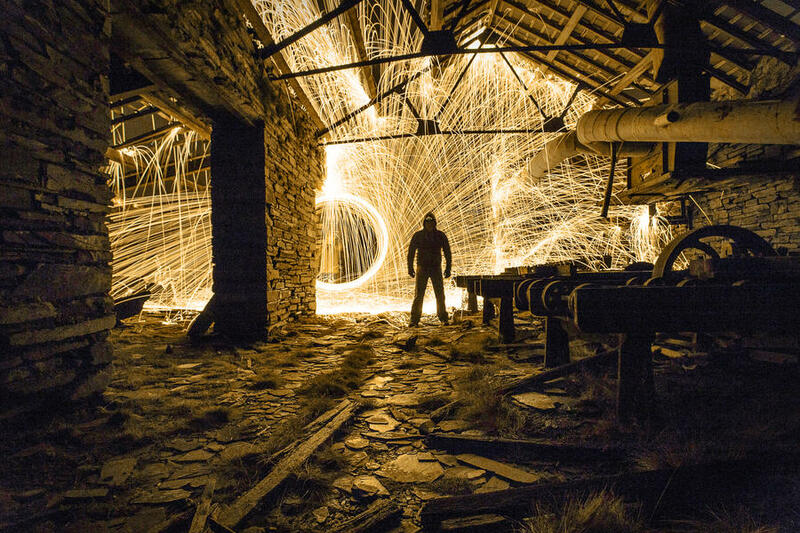 ‘The image was taken in an abandoned WW2 bomb storage facility in a disused quarry in north Wales. A friend agreed to model so he stood in the lift and held a small handtorch. Meanwhile, another friend spun wire wool behind the lift and I waved and draped blue LED wires around the model at the lift entrance. 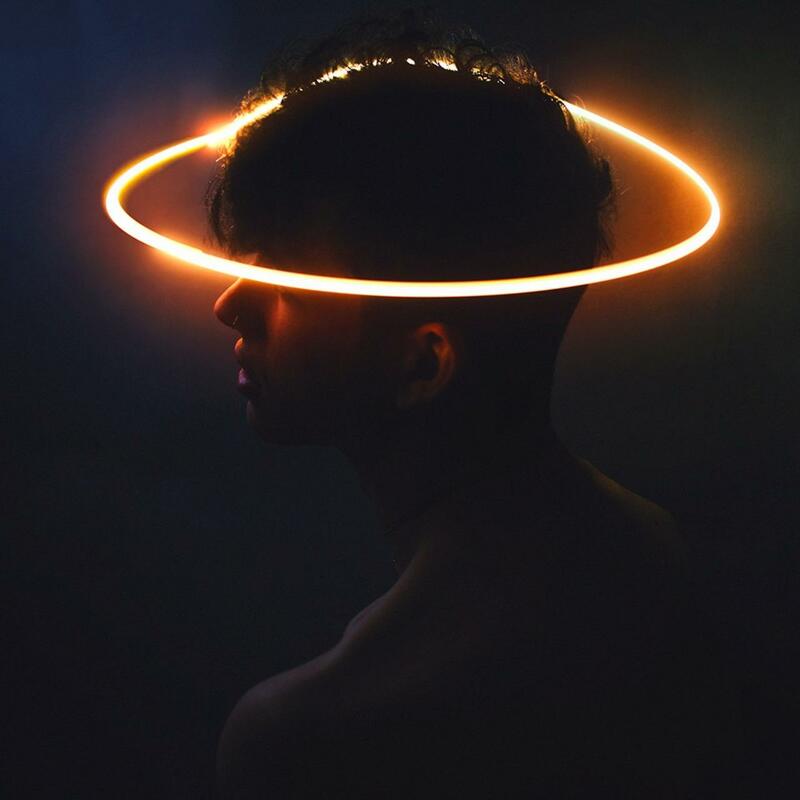 ‘In post-production, I used an amber filter to turn the blue LED wires a fiery colour and stacked a couple of layers of wire-wool spin images. I carried out colour and tonal adjustments, then added the flames as individual layers in the foreground, and inside and around the lift, using different blending modes. 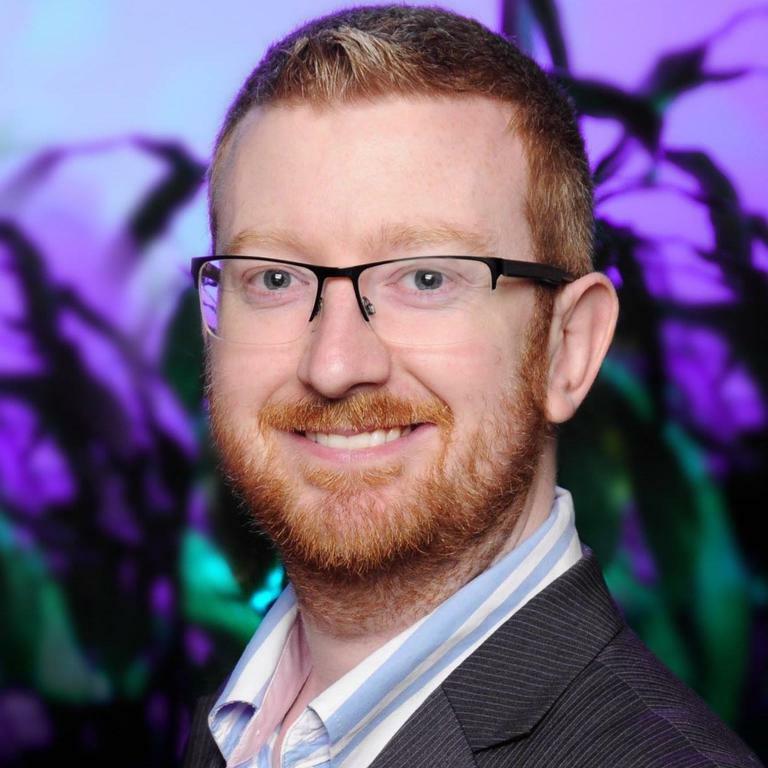 ‘For obvious sentimental value, I’d have to pick this image of my wife when she was eight months pregnant,’ says Mathew. 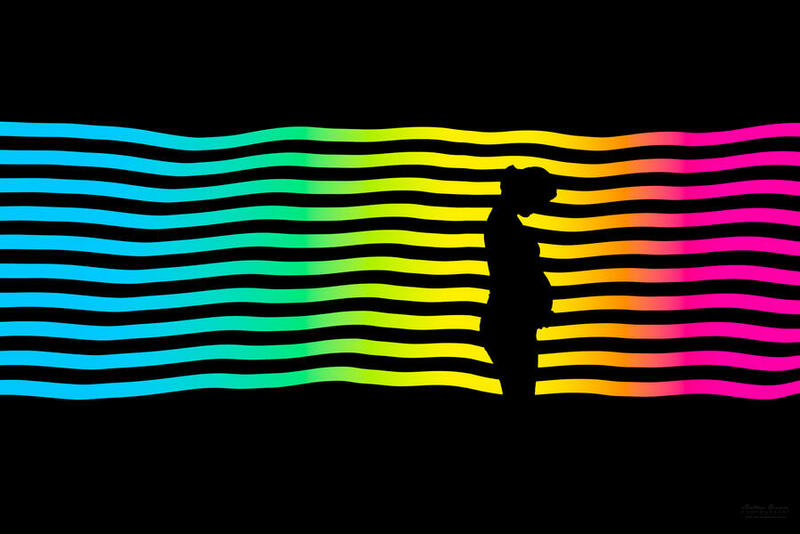 ‘Here she is standing outdoors at night, while I run past carrying a Pixelstick, which is outputting stripes that gradually change colour. Her form is silhouetted, and it’s an image I’m very pleased with, albeit a very personal one. This was one of the first photographs I took with the Pixelstick. I’d unboxed it not long before taking this series of pictures. In fact, my incentive to purchase the Pixelstick in the first place was precisely because I had an image like this in mind. 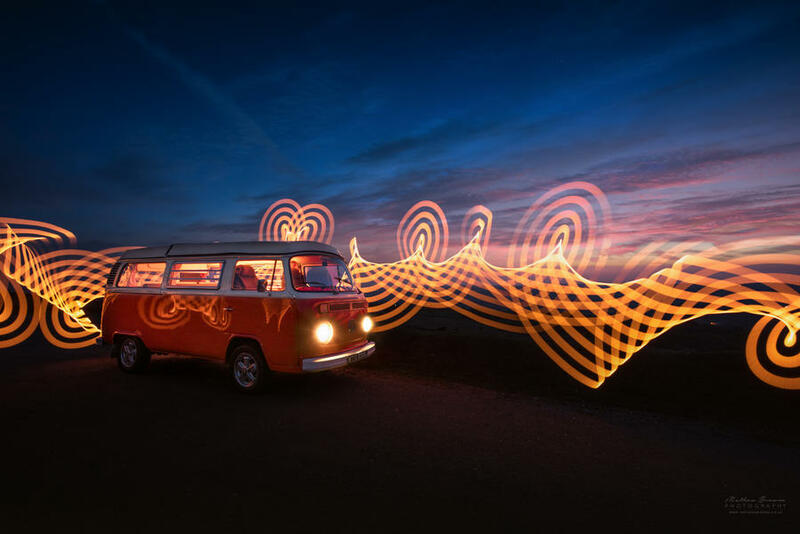 ‘In terms of critical acclaim, my unimaginatively-titled VW Camper Lightpainting II is another favourite,’ Mathew continues. 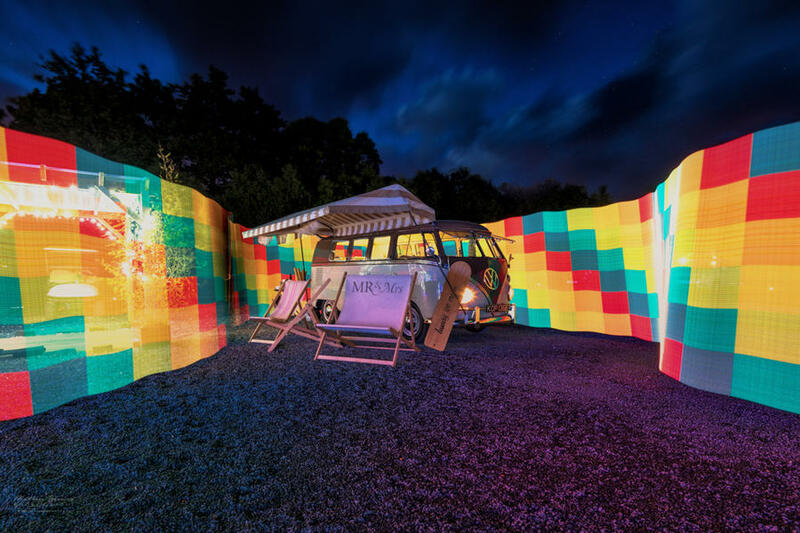 ‘The vehicle in question was a classic VW camper van that had been lovingly restored by my cousin. He and his father poured countless hours of work into it, but circumstances dictated that it was time for him to sell it. He asked me to photograph the van so he had something to remember it by. ‘While I have other favourite light painting images, this is one I remember especially as it was created with persistent work, sweat and dust,’ says Nikolay. 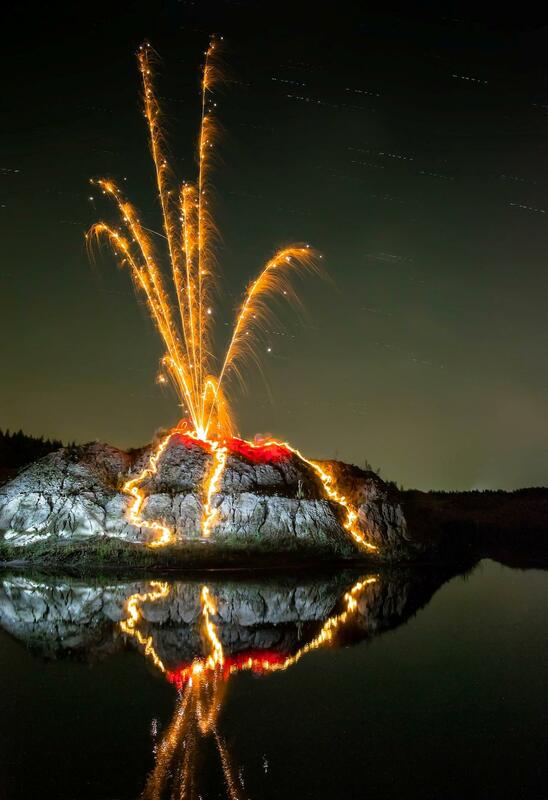 ‘The idea to make a volcano arose when we arrived to shoot at a sand pit. The height of the sandy hill was about 5m. To implement this plan, we had to climb up and down the sand a lot. From the first take, it just didn’t work. I had to try again. Then in the middle of shooting, the battery ran out. So I had to do everything again. In total, I think I spent 30 minutes on this. It was sandy, dusty and I was drenched through with sweat. But I had great pleasure seeing the result. •	Whenever possible, try and scout out new locations in advance during daylight hours. It will be dark when you next return there, so note any potential hazards and issues. •	Location is critical for a stand-out image. Choose an interesting location or feature and think about how to get the best out of it in terms of lighting. •	Blue hour is the best time for outdoors light painting. The camera can still pick up detail in the sky and an expanse of blue is always more pleasing than a plain black, featureless sky. •	Carry a powerful torch, preferably with a strobing effect, to aid focusing and to paint fill light into a scene while minimising overexposed ‘hot spots’. Also, carry plenty of spare batteries for camera and light sources. •	Wrap up warm – you’ll be standing around a fair bit. It sounds obvious, but don’t wear flammable, or expensive gear if you’re spinning wire wool. The smell of burning Gore-Tex is enough to make a grown man weep. •	Learn to focus in the dark. Whether it’s knowing the ‘sweet spot’ on your lens, or shining your torch into the darkness and focussing manually. Your photo is doomed to failure unless you nail the focus first. •	Time of day is important. Full dark is good, but the blue hour can also work. I always try to arrive at a shooting location before sunset to allow me sufficient time to find my composition with ambient light to guide me. •	Get a wireless shutter remote. If you’re shooting alone, it’s simply not practical to hit the shutter then find your way back in front of the camera to illuminate the scene. With a remote control, you can be in place – far away if need be – and be in perfect position as soon as the shutter opens. •	Invest in a good tripod. 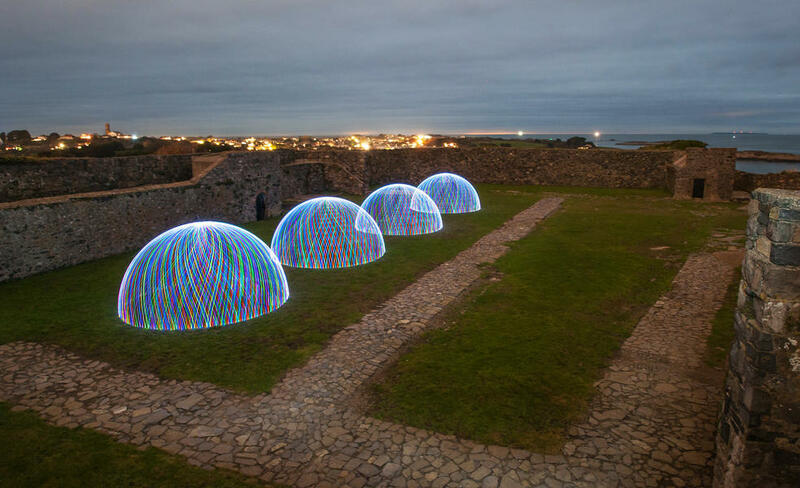 Your tripod needs to be rock solid, and light painting demands long exposures. •	Practice makes perfect. Though I consider myself fairly accomplished now, my first attempts at light painting were hit and miss. Experiment with focal lengths, shutter speeds and compositions. The best experience? 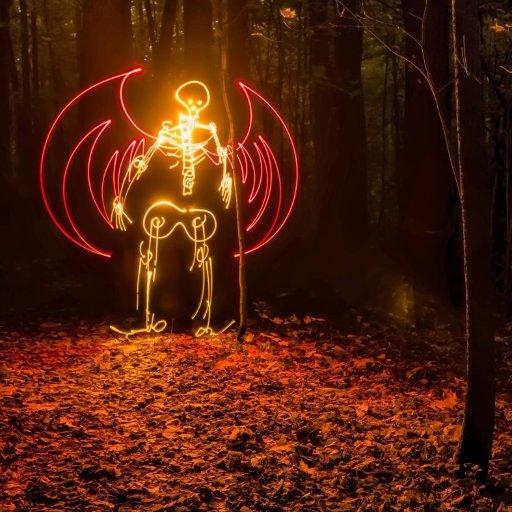 Head out into the dark with your gear and some fully charged batteries. Come back when they (and maybe you) are spent. At best, you’ll have captured some interesting images. At worst, you’ll have learned a lot for your next shoot. 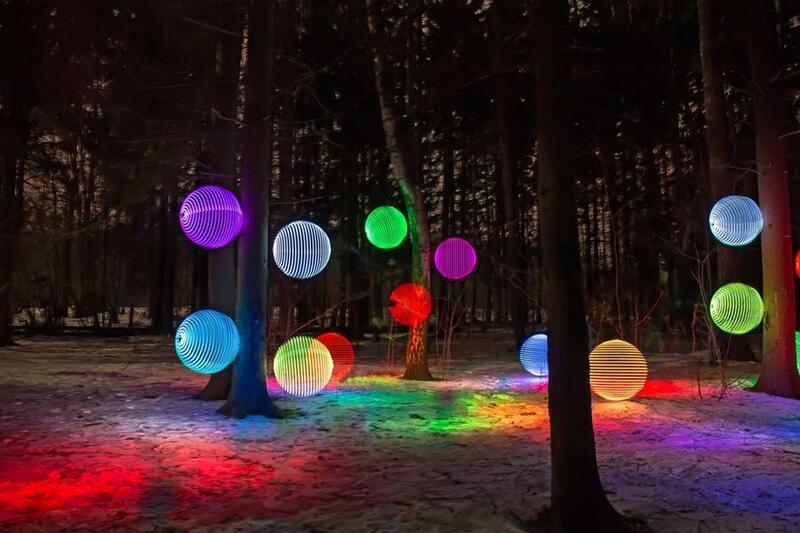 •	Make sure you do plenty of research and possess at least some knowledge of what light painting is, how it can be achieved and the camera settings you’ll need to achieve this. •	Always make sure you wear dark clothes, otherwise you’ll risk appearing in your shots when you’re in the frame painting with light. •	Start with the simplest drawings to begin with. Try drawing them several times on paper first until you’re confident enough to try it for real. •	Have several different light sources available to you on every shoot. You never know when inspiration will take hold. •	Never stop trying. Keep on and on until you get it right.